FREE SHIPPING to United States locations. 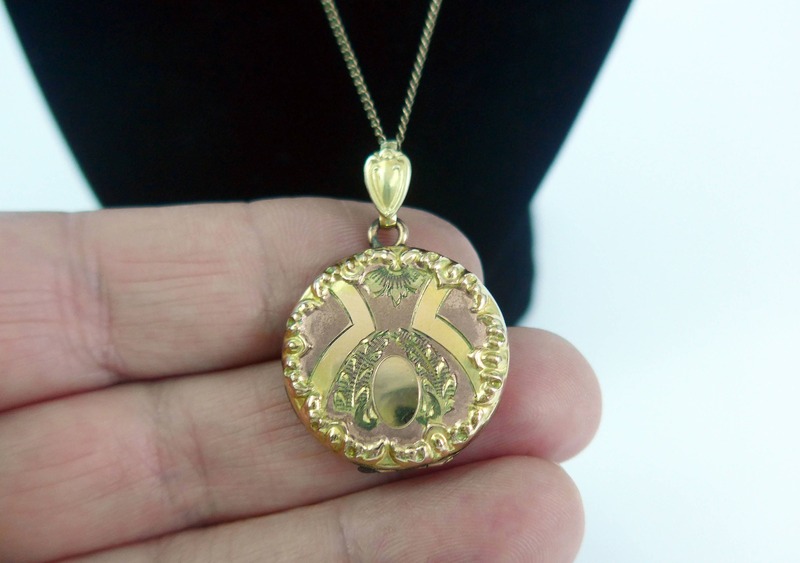 Beautiful larger sized round antique or vintage gold filled locket featuring a feminine and ornate design on the front with a pink gold background to help offset the etched /chased designs. The edges are raised in a scalloped decoration all around the front. Inside the locket are two photo compartments each with a frame and the film intact. 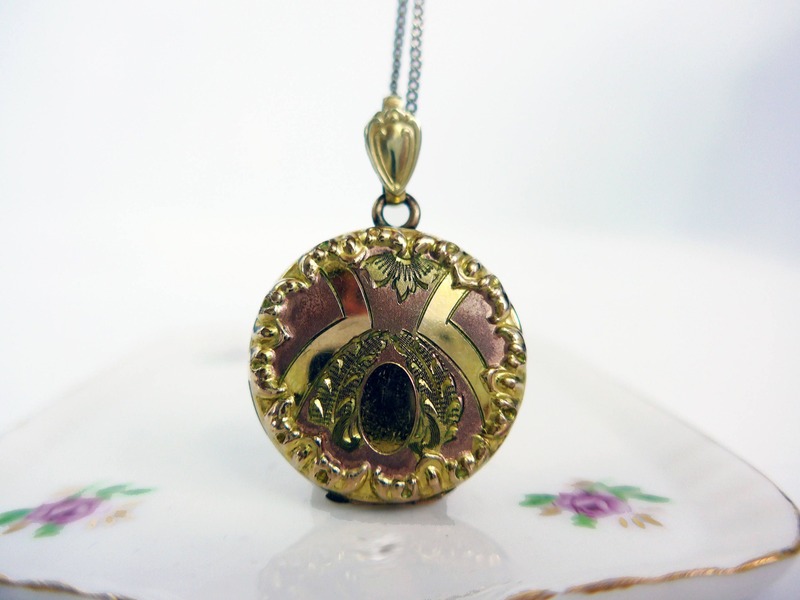 The locket opens from the top. The chain clasp is a filigree hook that one of the round loops slides under. The back side of the locket has a vertical pinstripe design with 5 horizontal lines across them. The hook on the chain is marked 12K 1/20 GF (for gold filled). The hook opens and closes as it should. 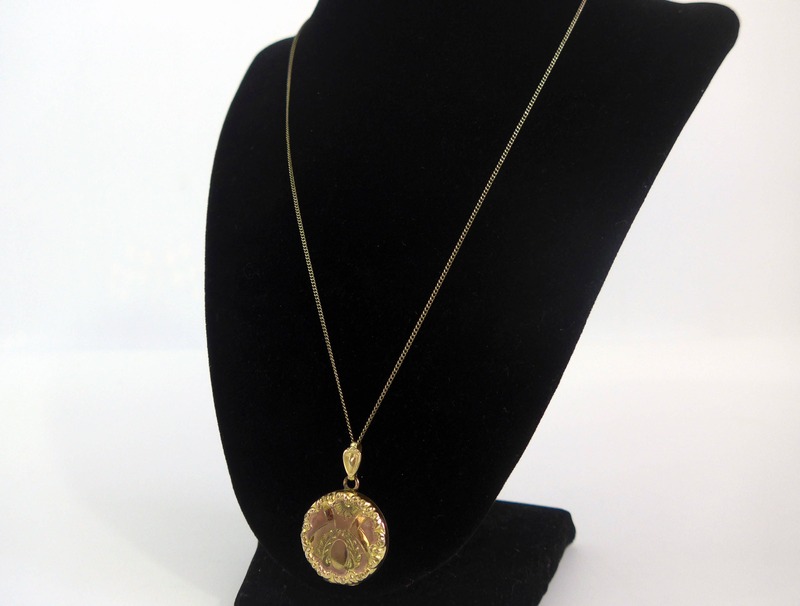 The round locket 7/8" is in diameter and this antique or vintage locket hangs from a fine vintage gold filled chain that is 18" in length. 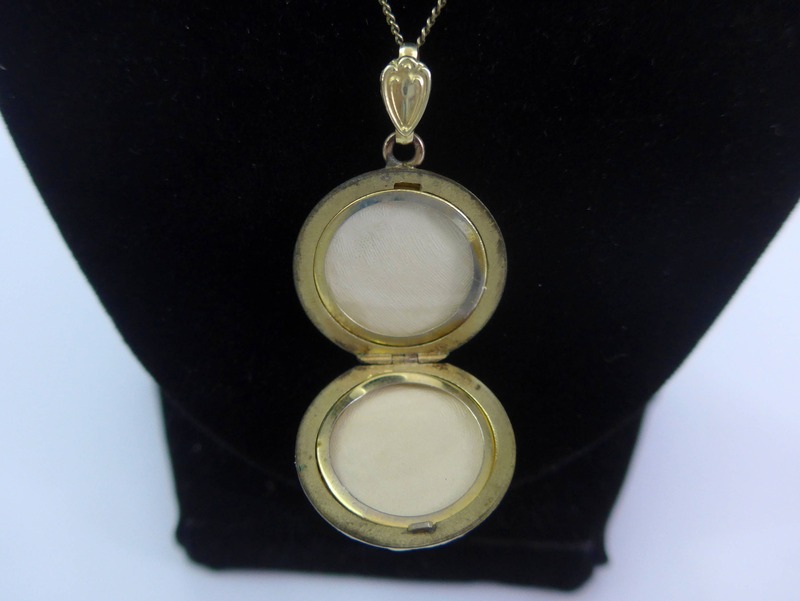 The locket is circa 1920s to 1940s. 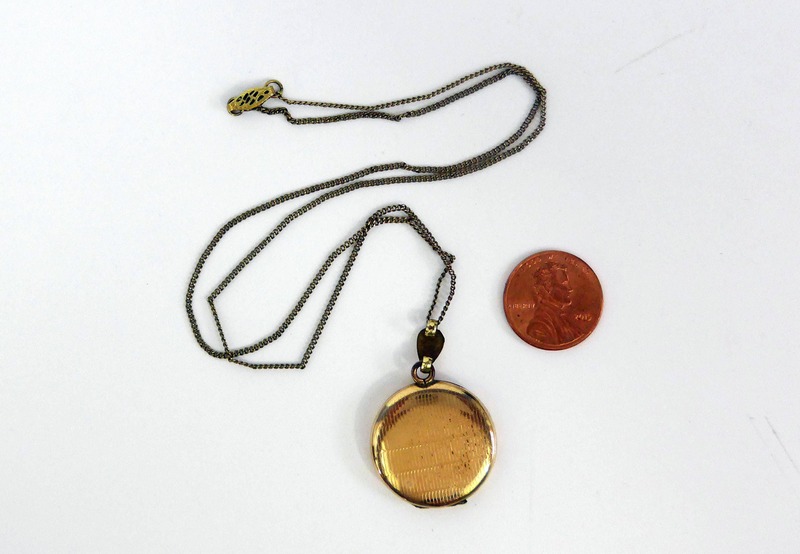 Gold filled metal locket necklace is in nice vintage or antique condition with some age appropriate patina and wear on both the locket front and back and the chain - item's price reflects this condition. Locket opens and secures well. Chain clasp is secure.